Despite its confusing name, the killer whale is actually the largest member of the dolphin family. The killer whale/orca (Orcinus orca) is well known and can be identified relatively easily by its distinctive black and white markings and very tall, prominent dorsal fin. They can grow up to 9 m in length, with male dorsal fins reaching higher than a metre. Orca flippers are large and paddle-shaped and overall the body is robust. They are acrobatic and are commonly seen breaching and flipper-slapping. Females and males differ in that males are longer and bulkier than females and females have smaller, more curved dorsal fins, and smaller flippers. Despite its confusing name, the killer whale/orca is actually the largest member of the dolphin family. Orca are the most widely distributed mammal on earth with the exception of humans. Its distribution is patchy however and it is more commonly seen at the poles and in cooler waters. They prefer deeper water but can be found in shallow bays and estuaries, and in inland seas. 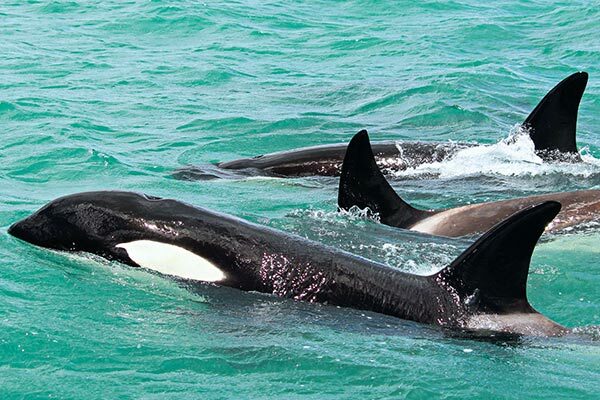 Orca can be found all throughout New Zealand’s coastline. Pods of orca are known to venture into Wellington Harbour throughout spring and summer looking for a unique food source (orcas in other parts of the world aren’t known to do this), but it is rare for them to stick around. They dig in the muddy sea bottom for stingrays and are often seen hearding them into shallow water around Oriental Parade, Frank Kitts Park, and The Lagoon. Passers-by have even watched as one stingray made a frantic leap for safety onto nearby rocks, later to be assisted back into the water by a nearby observer. Orcas are also often seen exploring the northern end of the harbour and the Kapiti Coast. New Zealand is home to an estimated 150–200 individuals, which travel long distances throughout the country’s coastal waters. We are beginning to understand that there are different types of orca throughout the world, and work on defining these types is currently underway. Even within New Zealand it has been proposed that there are three different types, based on observations of different food preferences. Orca are typically encountered in family groups or pods. Pods are usually formed for life and can result in the development of unique dialects. These dolphins have an extremely diverse diet and are the only known cetaceans that regularly prey upon other marine mammals. Attacks or kills have been documented on more than 35 species, including blue whales. Fish species are also important in their diet, such as salmon, tuna, herring, cod, sharks and rays. 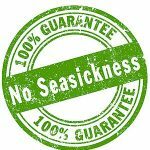 Squid, octopus, sea birds and sea turtles are also eaten. Orca hunt cooperatively and are even known to intentionally strand themselves on beaches temporarily in order to catch seals. Females give birth to their first calf between 11 and 16 years of age and tend to do so every five years for their 25-year reproductive life span. The gestation period is 15-18 months and calves are nursed for at least one year. Females are known to live up to 80 or 90 years. Males reach physical maturity at about 21 years and live for a maximum of 50-60 years. Historically, orca were targeted by fishers for human consumption but no significant hunting occurs today. Nowadays, one of the greatest potential impacts is likely to be disturbance caused by vessel traffic. The presence of boats is known to disrupt the normal behaviour of these animals, particularly resting, and underwater noise may disrupt echolocation signals and other communication. As orca are at the top of the food web they are particularly susceptible to pollution via bioaccumulation (the accumulation of toxins through the food chain).